Manzoor Colony is a densely populated area (approx. 300 acres) with no sewerage system. 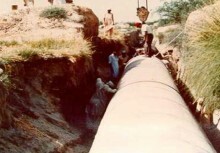 Detailed survey& design of a proper sewerage network had been carried out for the implementation of the project. 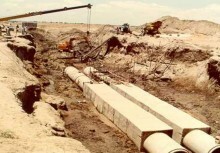 All the waste water collected at a pumping station and then pumped to TP-1 at Mahmoodabad. The task of the assignment was to improve the existing sewerage facility, a whole new network with all modern sewerage facilities.